YPSA has been awarded for the best youth organization of Chittagong Division. Md. 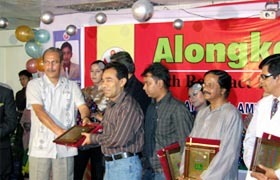 Mahbubar Rahman, Director (Field Operation) of YPSA, receive the “Alonkar 09, 14th Rotary District Award” at a ceremony in Chittagong.